In this 2 minute and 41 second layback lesson you will see a great demonstration of a plain layback. Janice discusses the arch position. You will then see a “fancy” layback with an illusion , sideways, haircutter and beillmann. Janice emphasis the great basics and how this will help you in your future. Janice also talks about the importance of practicing your spins very often. You will then see a few demonstrations of laybacks at a young level. Categories: Spins, Upright, Upright Layback, Upright Beilmann Product Coach: Janice Morgan. Product Skill Level: Intermediate. Product Lesson Type: Group, Positions, Tips, Technique. 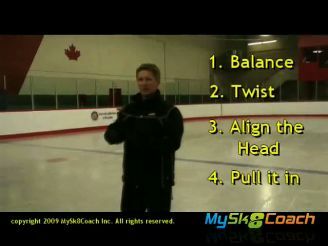 Be the first to review “Layback Demonstration and Tips” Click here to cancel reply.